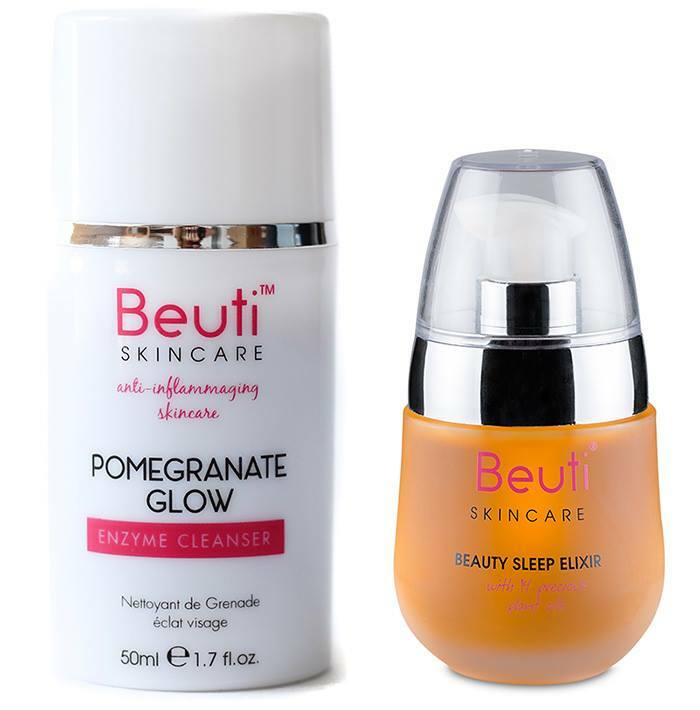 Watson and Iggy Azalea are also fans of Beauty Sleep Elixir from Beuti. I’ve been currently using Elemis Nourishing Face Oil almost every night so I’m really curious to see the miracle in the Beauty Sleep Elixir as well. the enzyme responsible for skin ageing, plus a sandalwood nut kernel oil to help prevent collagen and elastin break down. These are then combined with a generous amount of camellia oil, chia seed oil, bitter cherry seed oil, strawberry seed oil, pomegranate seed oil, blueberry seed oil, cranberry seed oil, raspberry seed oil, seabuckthorn fruit berry oil, sandalwood oil, lavender herb oil, geranium flower oil, neroli flower oil and capric trglyceride from coconut. You can put a dash of the Elixir under your makeup to even the skin tone or on your blemish to reduce inflammation. You can use it over-night to allow the skin to renew itself. The super boost of vitamins, minerals and a complete omega hit of 3,5,6,7 and 9 will leave your skin looking rejuvenated and fresh. Just like the Sleep Elixir, the cleanser is 100% natural and has been proven to reverse the signs of ageing and to leave you feeling pampered after one application. This is down to a potent formula which has been carefully hand-picked to give you a beautiful and lasting glow. It is even safe for the most sensitive of skins. 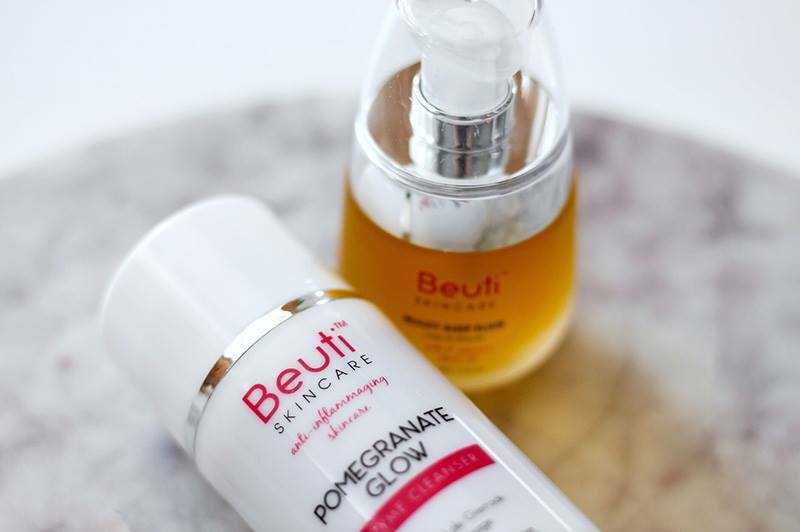 The Pomegranate Glow Enzyme Cleanser is far more than just a cleanser. The wonder product can also tighten, smooth, exfoliate and moisturise your skin, giving it the well-deserved TLC it needs after a long day. The super-luxe bottle is packed with indulgent ingredients including Sweet Cherry, Almond Oil, Clay, Orange Peel, Honey and Mango Seed Oil. However, the secret recipe to revitalise your skin include Fermented Pomegranate which acts like a very gentle glycolic acid, Rose Clay which cleanses and exfoliates, Babassu Oil for a deep moisturise and a burst of Vitamin E, and lastly Laurel, Myrtle and Iris (three flower essence) which gives you brighter, tighter smoother skin. Whether you choose to use the cleanser in the morning and evening to revitalise and clean your skin, or as a 5-minute mini-facial, you will notice your skin transforms from dull to glowing instantly. The elixir is really good! I’ve been using it for about 6 months and have definitely noticed a difference in the brightness and clarity of my skin.